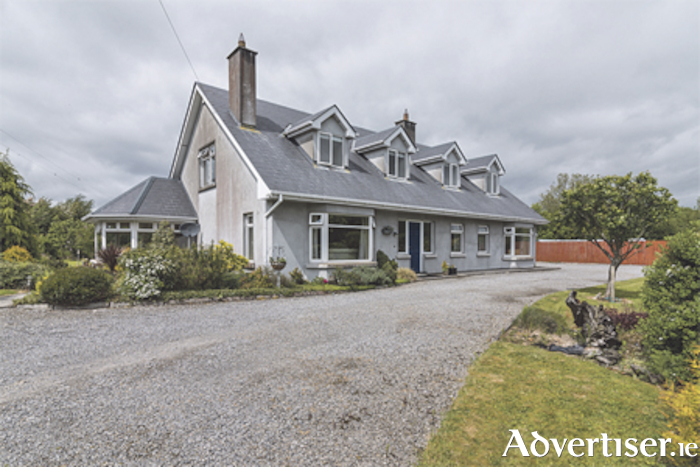 Sherry Fitzgerald O’Meara are proud to bring this modern masterpiece to the market. Beautifully presented and maintained in mint condition throughout, this property is located in a sought after area just outside of Glasson village. Lough Ree is on the doorstep, and Athlone town is just a few minutes’ drive away. This spacious home offers a floor plan designed for entertaining and has all the ingredients for modern family living. A high spec of insulation, a sunroom, a detached garage and a west-facing decked area to the rear add to this already fine home. Inside, prospective buyers will find six bedrooms, three reception rooms and five bathrooms. Features like underfloor central heating, a 2,500 gallon rainwater harvester, a sauna and Jacuzzi bath complete the package. The home offers approximately 291.7 square metres of living space and has a BER rating of B3.